Living Style Landscapes is about creating your ultimate outdoor living space that enhances your lifestyle and showcases your personality. From design to completion Living Style prides itself on listening to our clients needs, ideas, wants and creating a design that is personlised for your unique lifestyle. 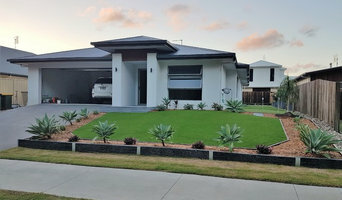 Pro Line Landscape Gardening has quickly formed a reliable reputation for creating beautiful gardens on the Sunshine Coast and surrounding areas to compliment the homes and lifestyles of past clients. Add instant value to your home with a visually exciting yet functional garden. We work with you, listen to your ideas and can advise you of the best solution available to meet your requirements and budget. Whether it is transforming your garden or creating a small space for you to enjoy we can meet your expectations with the highest of standards by a qualified landscaper until completion. Pro Line Landscape Gardening is also a member of Landscape Queensland Assoc. Inc.
Enviro Surface Solutions is a privately owned and operated company based on the Sunshine Coast. With the help of our professional yet friendly staff, we can give your lawn the look of a healthy and well-manicured lawn all year round. At Enviro Surface Solutions, we understand that your lawn is an important investment that deserves the best treatment. Leave the care to the experts while you focus on what’s really important to you. With huge developments in technology, a beautiful manicured and green lawn all year round is now a reality. Synthetic turf will not only add value to your premises but save you time, money, water and the environment. - NO more mowing - NO more hours of weeding or using harmful chemicals - NO more lawn grubs - NO more hours and thousands of litres of water trying to keep your lawn green. Or maybe you require rubber soft fall, commonly used around children’s playgrounds, daycare centres and public exercise equipment. We also specialise in timber decking. With 20 years carpentry experience a quality finish is assured! Earth Creation Landscapes is based on the beautiful Sunshine Coast with 20 years of design and landscape experience. Throughout the design process we take care to maximise various conditions of the site and client requirements. The most important aspect when designing our gardens is that it is ‘the clients space’. It is an area that they will be spending many hours in. It goes without saying client input is vital for a successful design. Using our extensive knowledge of landscape design around the Sunshine Coast helps use to achieve amazing results. We really do make the outdoor seem like part of the home. Earth Creation Landscapes cover all aspects of Horticulture, Hard and Soft Landscape construction, and Landscape Design. We provide a professional personalized service from the initial consultation through to the completion of the project. When designing we consider your needs and budget constraints, while also balancing environmental issues, garden functionaility and aesthetics. All to ensure the perfect atmosphere for you to enjoy! 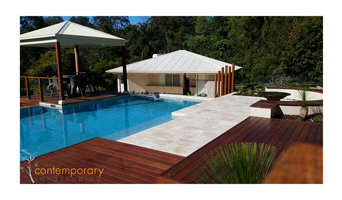 A leading Landscape design and construction company servicing the beautiful Sunshine Coast. Odyssey Landscapes understands how crucial the outdoor room is to your home. With impeccable attention to detail, client-focused design and an absolute love for the industry - the hard-working and professional team at Odyssey Landscapes will bring your outdoor vision to life. We service the whole Sunshine Coast from Caloundra to Noosa, including the Hinterland and everywhere in between. As a landscape design and construction company, we offer the complete landscaping experience. Our services include: - Concreting, Paving & Tiling - Retaining Walls - Fencing & Decks - Landscaping & Earthworks - Stonework including walls and cladding - Installation of garden features such as vertical grow walls and more! We design and build fish ponds, swim ponds, wetlands, child safe pondless streams and waterfalls. We work with natural stone, aquatic plants, fish, and natural ecosystems to create low maintenance features that will provide a piece of paradise in any location - from a small courtyard or backyard to acreage. Our creations invoke an escape into your own oasis of peace and relaxation and the many beneficial aspects that water brings to your environment. Ground Force Landscapes Pty Ltd is a landscape construction company headed by Scott, a service driven, fully qualified QBCC licensed structural landscaper with an appreciation of the environment. Scott and his hardworking team deliver high quality, full service landscaping solutions to clients in Noosa and surrounding areas of the beautiful Sunshine Coast. Listening carefully to clients and bringing knowledgeable expertIse and creativity to each project, Scott and his team consistently deliver beautifully executed landscapes. We undertake all aspects of hard and soft landscaping for both residential and commercial clients. There is no better way to create a visual impact on your property than to landscape and maintain your garden and outdoor living areas. We thrive on creating asthetically pleasing, functional and sustainable landscapes. Express Landscapes & Property Services is a Landscape business servicing the Sunshine Coast, Queensland. With 25 years experience we bring our expertise in all areas of Landscape Design, Construction and Property Maintenance. Services we provide for residential and commerial properties are: Gardens - Turfing - Paving - TILING - Pool Surrounds - Retaining Walls - Fencing - Drainage - Decks - Pergolas - OUTDOOR KITCHENS - Lawn Mowing - Garden Maintenance - Pruning - Fertilizing - Cleaning - Rubbish Removal We offer free no obligation quotes and we are able to work with you and your budget in delivering value to your property. You can give us a call on 0417228676, fill out an on-line enquiry or send us an email. We would love to hear from you and have the opportunity to help you with your next project! Get the relaxing, luxurious retreat you deserve! Living Colour Landscaping offers personal & reliable service all whilst creating the perfect year-round oasis to both suit your needs, impress visitors and add value to your home. 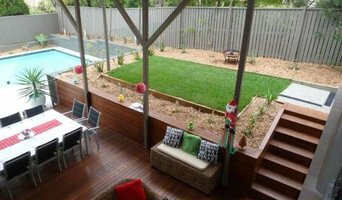 Owner, Neil, is a fully qualified landscaper with over 15 years experience and is a member of Landscape Queensland. At Work In Dirt Landscaping we want to give back to our clients. Our personalised service extends beyond the construction of a job to provide the best possible landscaping experience. 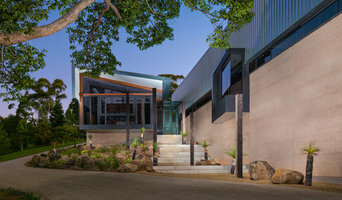 By sharing our knowledge with clients who are as passionate about their landscape as we are ensures their project will stand the test of time Our Valued Clients Work In Dirt Landscaping's vision is to help you create a project that encapsulates the lifestyle and environment that you have envisioned. From a small patch of grass to a full landscape construction we have the right tools to help you. Our team is first and foremost dedicated to putting YOU first. To ensure this we are committed to listening and working alongside you to bring your dreams to life from the beginning through to completion and beyond. Work In Dirt can help you come up with a design if you can't quite put your finger on what it is that you want, or help guide you in the right direction to ensure you get the trans formative outcome you desired. Residential and small commercial offering 3D design, graphic rendering and designs presentations for realistic prices. 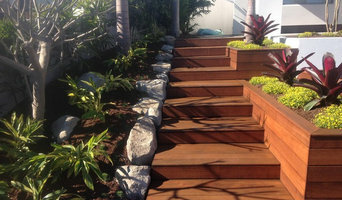 As one of the leading landscaping contractors on the Sunshine Coast, Noosa Shapes Landscape Design & Construction offers a wide range of services. From the initial concepts and rough sketches to the construction and maintenance of your dream landscape, we have a range of landscape services for both private and public customers. Whether it's a new fountain for a public park, trees for nature strips, or selecting the right lawn for recreational areas, Noosa Shapes Landscape Design & Construction has the experience to create the look and feel you desire. We operate 7 days a week throughout the Sunshine Coast. Contact us today for a free quote from one of our professional landscaping contractors! At the heart of All Aspects Landscaping team is Tony and Dawn Bartle. As a local Sunshine Coast family who have lived on the Coast for over 25 years, they certainly know their stuff when it comes to landscaping design and landscaping construction in the local Buderim area and across the wider Sunshine Coast. Tony's license is a builder restricted to structural landscaping, which includes decking. He also has a Certificate Three in Horticulture so he knows what he is talking about! What can a Sunshine Coast, Queensland landscape contractor or gardener do? Find landscape solutions and Sunshine Coast, Queensland gardening services on Houzz. Scroll through this page to find professionals that offer landscaping and gardening services in your area. You can browse their latest projects, read reviews and see how other homeowners rate their work, and message them directly.